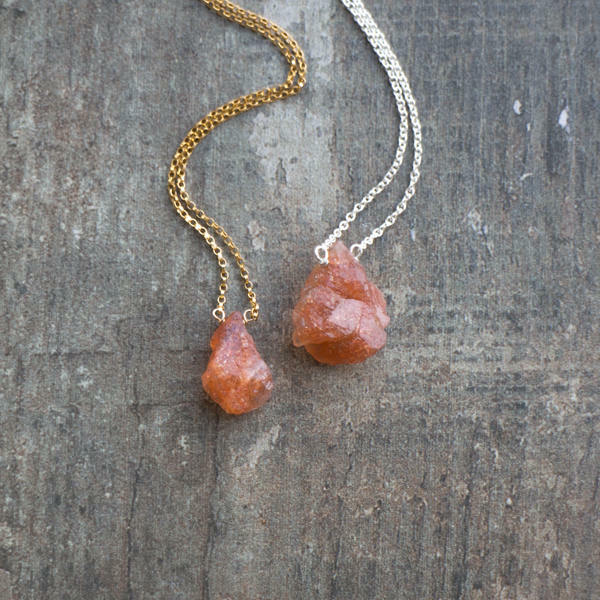 Stunning Sunstone crystals in their natural rough state have some beautiful glitter! 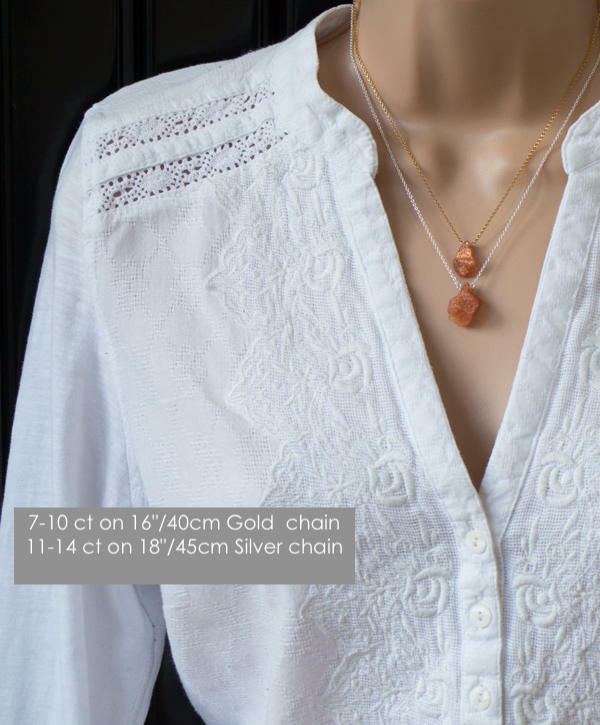 They have been set in the centre of beautiful gold and silver chains for this natural, minimalist necklace. 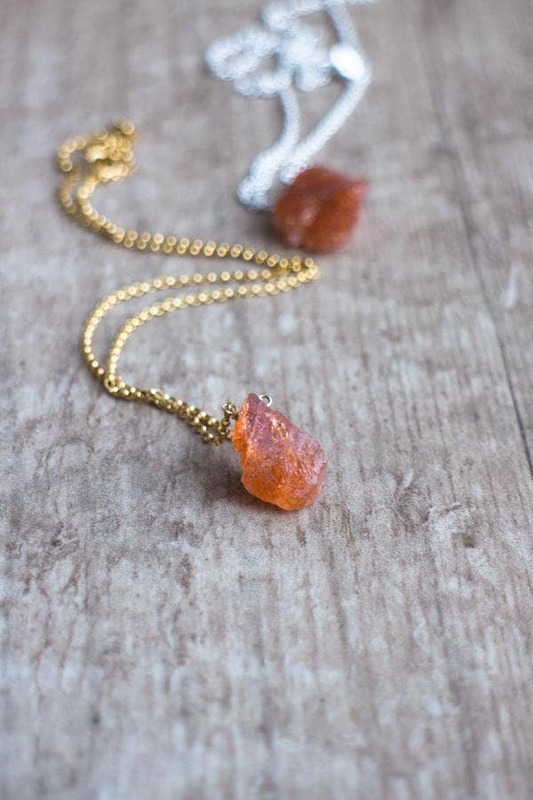 Sunstone is believed to bring good luck to the wearer and a sacral chakra stone! 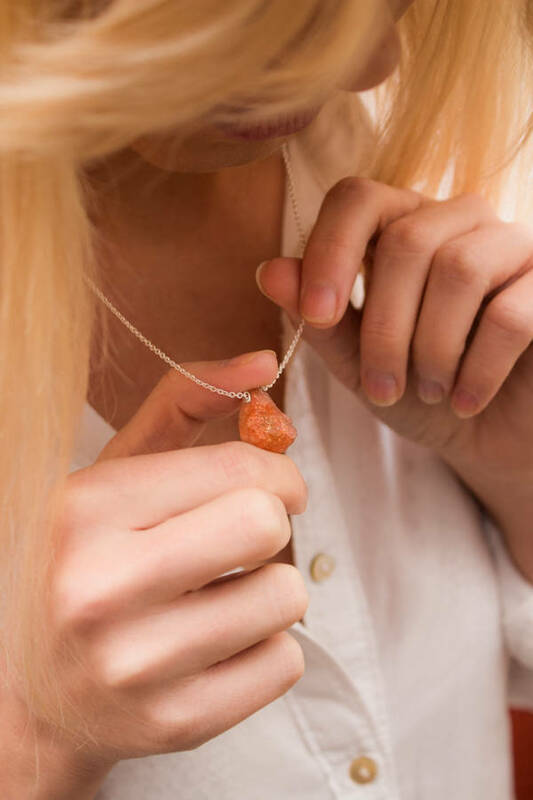 •Perfect gift for wishing good luck for a new start in life or a competition!Comes with a crystal information card, in a beautiful Abiza gift box. 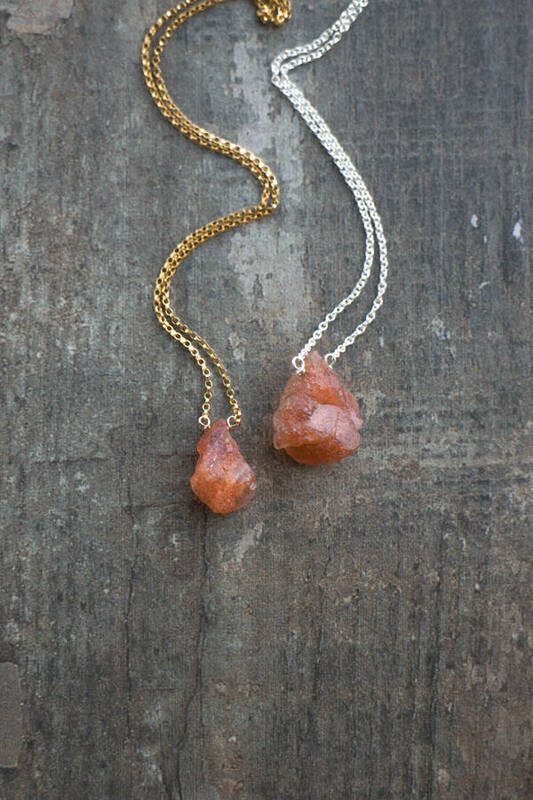 •Natural Sunstones show their sparkle when the light hits them. 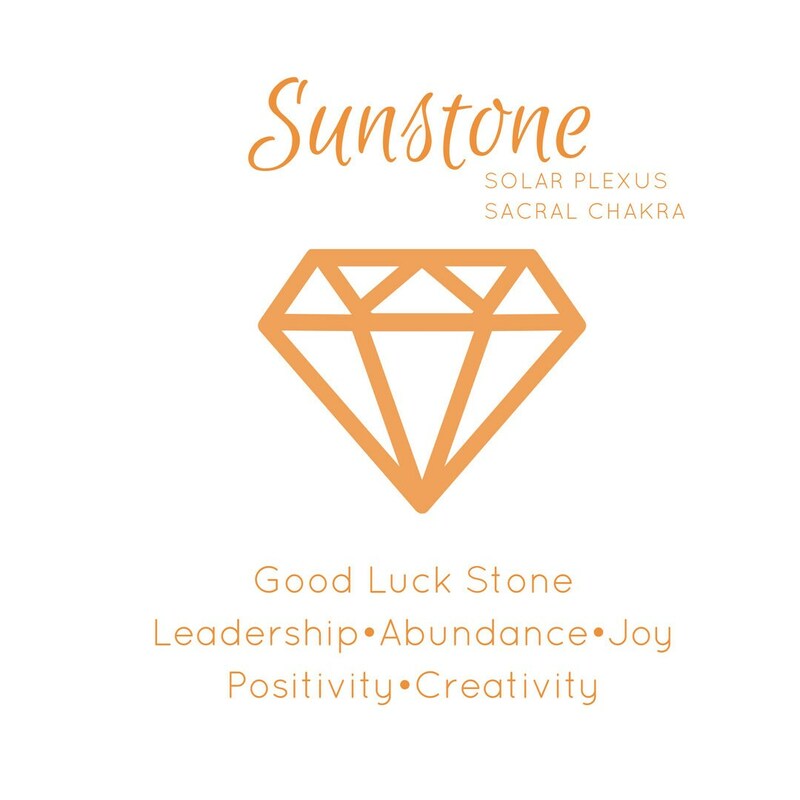 Each stone is unique and one of a kind. Please see the 2nd photo. 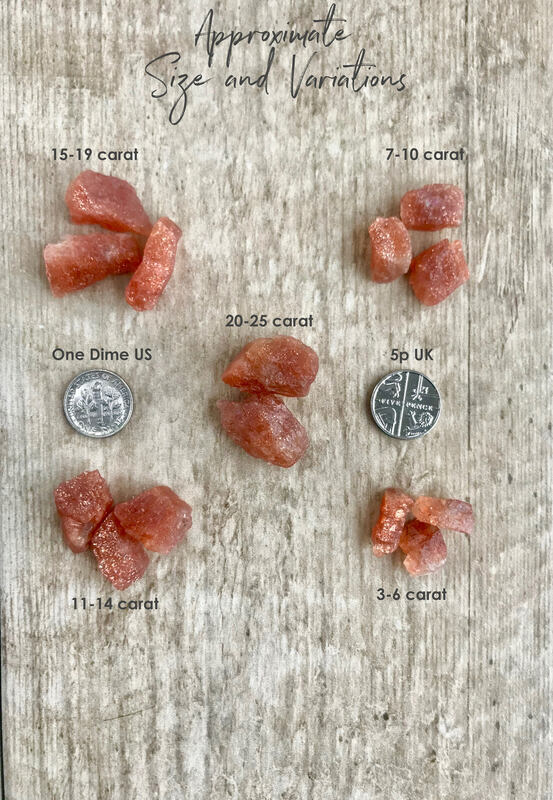 •Stones are listed and priced by their carat weights as there is quite a variety in sizes and uncut stone shapes are not so easy to measure. Sizes are approximate. •Please see the 5th image and choose your length from the menu. 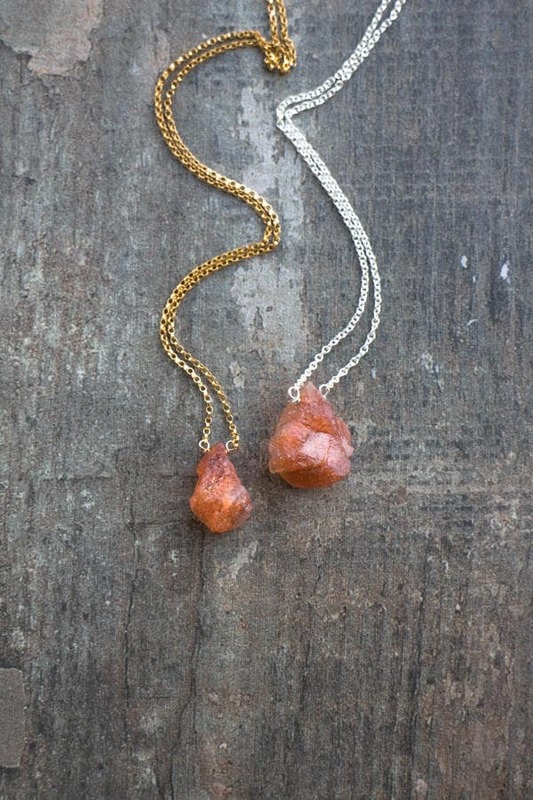 Absolutely gorgeous necklace! The sparkle/flash on this crystal is so beautifully in the light. Thank-you!! Love it! !